Mourinho is set to spend a hefty amount on transfer in January. Serbian star Milinkovic Savic stunned everyone with his performances for Lazio and that’s why many top European clubs including Manchester United and Real Madrid were willing to spend hefty amounts for the signature of the Serbian midfielder. Jose Mourinho is certainly a great admirer of the Serie A star and reportedly has asked Manchester United to reignite their interest for the Serbian in the January transfer window. According to the English outlet, Metro, Mourinho watched Milinkovic Savic in action for his Serbian national side and are plotting a bid to bring him to Old Trafford. Another outlet from England, The Sun, claims that Lazio is seeking a club record fee from Manchester United to let go of their star playmaker. Lazio turned down a €80 million bid for him last summer. Later, the midfielder signed a new deal with the Italian club but there’s a possibility for a January move as Mourinho would be backing on his relationship with the player’s agent, Mateja Kezman, who played for Chelsea FC under Jose Mourinho. The 23-year-old is believed to be the perfect replacement for Nemanja Matic, who is past his peak and is into the latter stages of his career. 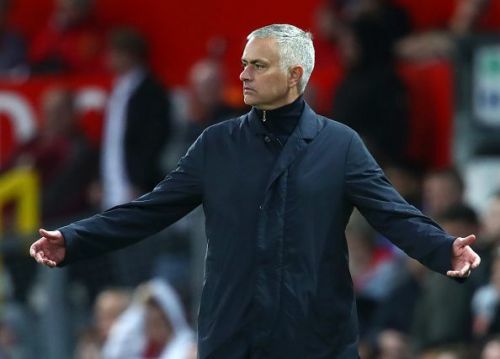 Manchester United are having one of their worst starts to their season as they have only managed to collect thirteen points in eight Premier League matches. Their sloppy defence has been the top reason for this downfall as they have conceded 14 goals already. On the other hand, the midfield hasn’t been playing top-notch football as expected from them. Mourinho is desperate to bring in fresh blood in his squad. The Portuguese manager is under pressure of turning things around and would certainly spend big to turn United’s fortunes. The high demand for better performances would force the Red Devils to make some major signings and they’d be willing to spend their highest transfer amount to bring in their targets. It looks like a possibility that a move is on the cards if Lazio agrees on a genuine fee in January. Jose Mourinho would like to continue his winning performances after an inspiring comeback win against Newcastle. Manchester United have to get going from now and January transfer window might solve all their issues as some new incomings might changes things for them.